Ben Rosenblum Studio collaborated with The Smith Factory and Dutch East Design on an interactive outdoor installation as part of Bushwick Open Studios in June of 2015. 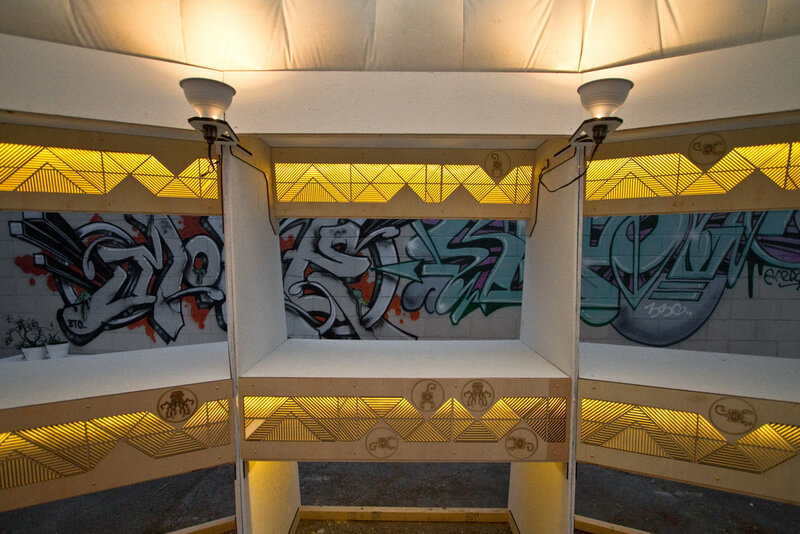 The temporary installation was set up at HQ Labs, a fabrication and event space for designers, including the collaborators, in Bushwick, Brooklyn. The installation included laser-cut parts and templates, simplifying construction. The lighting and elements created a welcoming and contemplative environment. The installation design refers to a mythological story about the battle between a scorpion and an octopus.